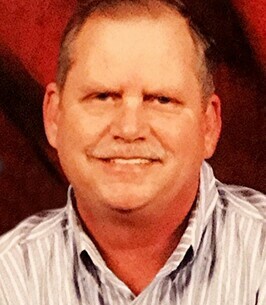 Clarence Ernest “Ernie” Smith, age 64 of Alto, passed away on Friday, November 23, 2018. Born on July 18, 1954, in Gainesville, he was a son of the late Clarence and Hazel McClung Smith. Mr. Smith was retired from Wrigley/Mars Manufacturing and was a member of New Vision Worship Center. Mr. Smith served his country proudly in the United States Army and loved watching football, baseball, and racing. He also loved the outdoors, sitting on his front porch, cutting grass, and traveling to Pigeon Forge. In addition to his parents, Mr. Smith was also preceded in death by his daughter, Kayla Smith; grandchild, Peyton Smith; and sisters, Betty Ann Sailors, Inez Mathis, and Donna Hall. He is survived by his wife, Pemelia “Pam” Smith of Alto; son and daughter-in-law, Scott & Michelle Smith of Southern Pines, NC; son and partner, Jonathan Smith and Ryan Livingston of Charlotte, NC; brother and sister-in-law, Harold & Tammy Smith of Cleveland; sister and brother-in-law, Frances & Mack Collins of Gainesville; sisters, Linda Shedd and Vickie Adams both of Gainesville; grandchildren, Madison & Reagan Smith. Funeral services are 3:30 pm Sunday, November 25, 2018, at New Vision Worship Center with Rev. Clarence Reynolds and Rev. Mickey Umbehant officiating. Interment will follow in Yonah Memorial Gardens with Rev. Bobby Griffin officiating. The family will receive friends from 2-4 & 6-8 pm on Saturday. To plant a tree in memory of Clarence Ernest "Ernie" Smith, please visit our Heartfelt Sympathies Store. We encourage you to share any memorable photos or stories about Clarence Ernest "Ernie". All tributes placed on and purchased through this memorial website will remain on in perpetuity for future generations. So sorry for your loss. You are in our thoughts and prayers. Continue to lean on the Lord and he will give you strength for each day. Pam, so sorry to hear of Ernie’s passing. We love you. Always thought a lot of Ernie as he was always a good down to earth type of guy. if we can help you in any way, let us know.